Don't forget that these prompts are not intended to be your next submission to a literary review or a chapter in your great American novel. So don't forget to just have fun. 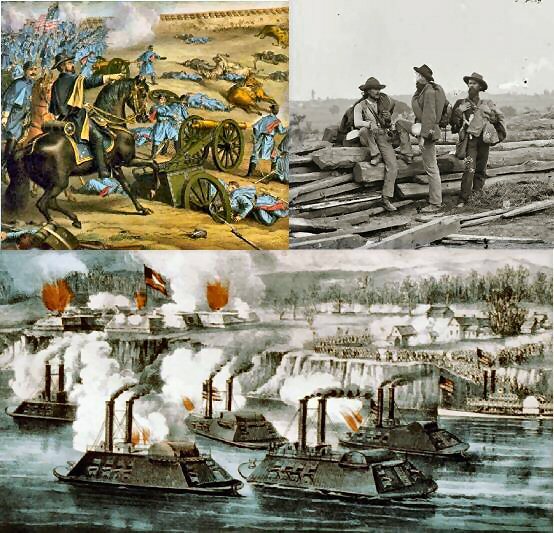 We're coming up on the anniversary of the start of the United States Civil War this week. Since I know of only a couple of readers who are not Americans, and they seem to be pretty well read, I'm going to assume that most of you know at least a little about that conflict of United States history. Prompt- Write a letter from a soldier the night before he (or possibly she--though historically you might have to explain that one a little) knows he is going into battle. Here are the rules of the prompt. 1- The letter can not be to the soldier's sweetheart or mother. Too cliche. 2- The soldier is excited for the chance to meet the enemy and scared at the same time, and this should come out either through subtext or directly. 3- It is your choice which side the soldier is from, but whichever you pick, make them somewhat ambivalent about "the cause." Why did they get involved? That's up to you, but steer clear of the historical arguments. This should also come out in your letter. 4- How does your soldier handle the possibility of death the next day? Denial? Horrifyingly brutal honesty? Laughing about it? Remember our deepest coping mechanisms scream to the surface in times of great stress. 5- You do not need to worry about writing this in anachronistic language, but if you want to, it could be fun. 6- Try to weave all these things into a single composite--all the paradoxes and all the contradictions. Make this an individual, not a historical stereotype. Of course all your characters should be filled with such rich contradictions and paradoxes. The American Civil War simply gives us a fecund field in which to explore this idea. Can I cheat and use the First World War instead? It's a prompt to get you writing. I picked the civil war because of the date and because that is a conflict that I'm strongly aware of in history where there were deeply conflicted feelings even at the time of it. (It's hard to just dismiss those other guys as evil when they were you two weeks ago. ), However, if your brain immediately goes somewhere else (but it still gets you writing) you can do what EVER you want.